Description Drive a motorcycle armed to the teeth with all sorts of crazy weapons! Killing Road is an intense shooting game where you must drive your way to survival! 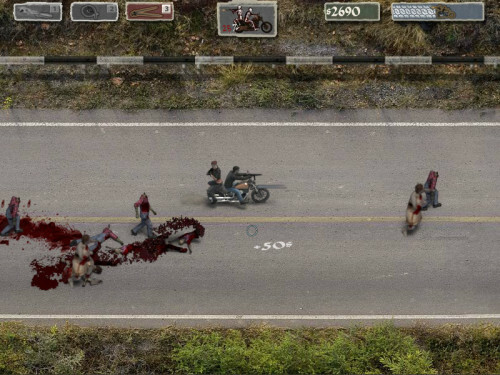 Earn tons of upgrades and weapons, including a flame thrower for the back of your bike! You can even get blades on the side! How long can you survive? Mouse to look and shoot, WASD to control the bike. Aim for the head for additional damage and credits.